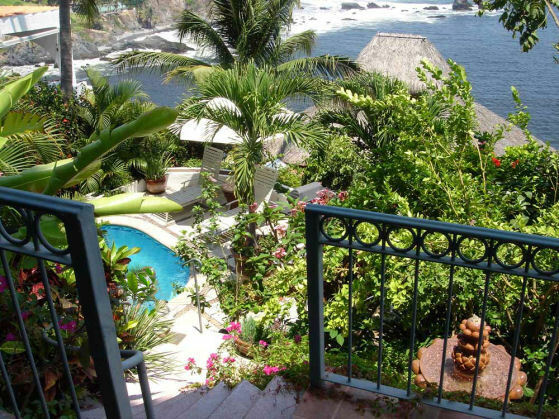 The electronically gated villa is located on one of the most spectacular spots on the Mexican Riviera, just 20 minutes south from Manzanillo’s International Airport, a short 5 minute drive to Santiago’s incredible five mile long beaches and close to shopping and services. 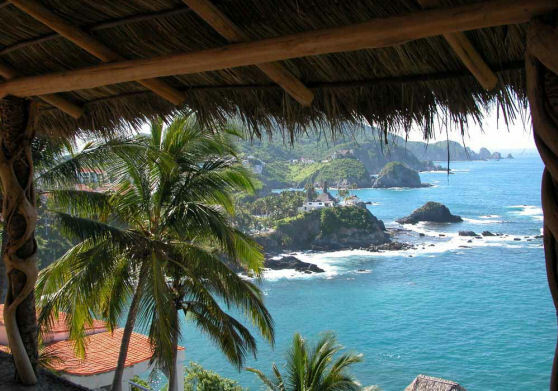 The oceanfront villa and casitas cascade down a hillside on a bluff 150’ feet above the Pacific. 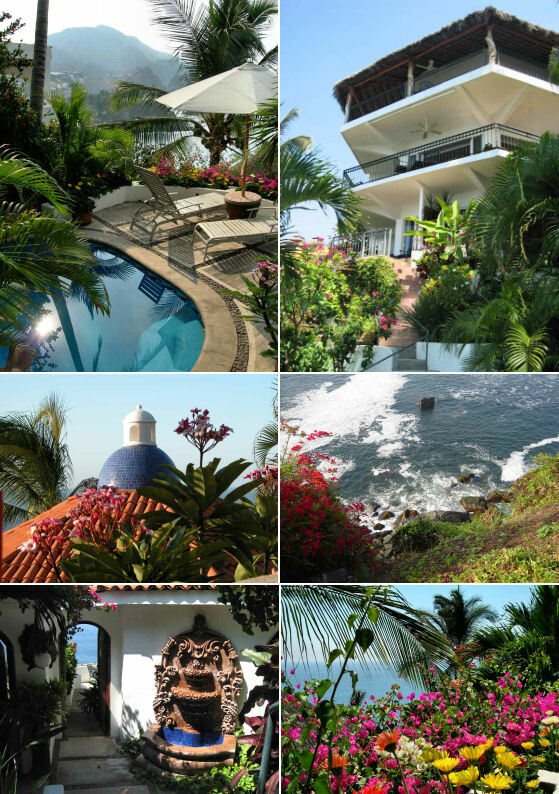 The property consists of a large; three-story villa and two separate privately gated casitas. The villa’s configuration is designed to easily accommodate up to 14 owners and their guests. There are 6 and a half bathrooms. 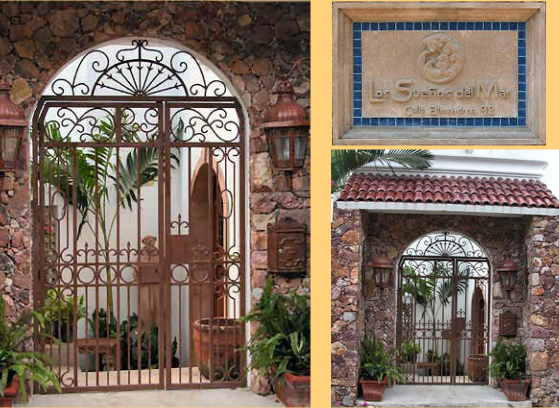 The landscaping of this home is a spectacular focal point and contains 50-year old coconut palms and scores of other tropical plants and trees including many varieties of established ornamentals. 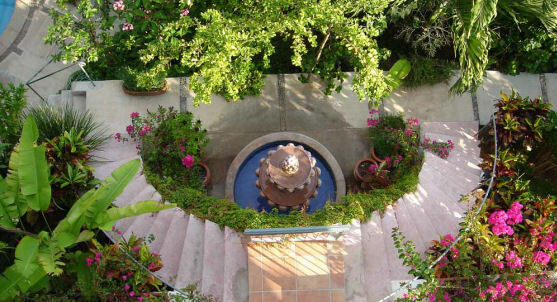 Four beautiful hand-carved Cantera stone fountains are mixed into the lush tropical jungle vegetation and there are always fresh tropical flowers blooming for use in the villa. A small dipping pool tiled in Italian glass with a tiny rock fountain is located in a garden setting, a perfect place to relax and refresh. 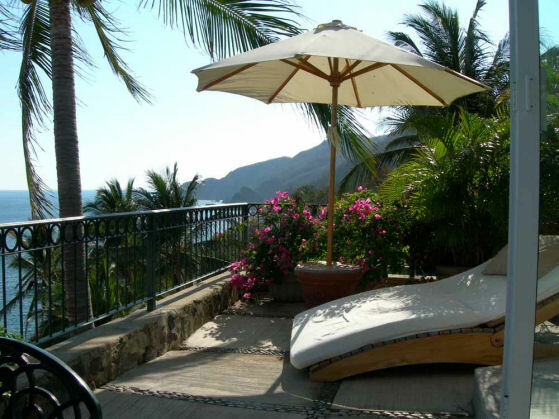 Each casita and villa guest room has a private terrace with chaise, table and chairs. No matter where you are on the property there are dramatic views of the Pacific Ocean you must see to believe. Guest accommodations can be closed with sliding glass walls and are individually air-conditioned. This is a property you have to see and experience in order to believe. Photographs, no matter how dramatic, do not do it justice. It is a one-of-a-kind location that affords both complete privacy behind the gated entrance and truly breath-taking Pacific Ocean views from everywhere you look.